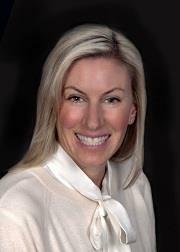 Heather Abric is a Realtor Associate with five years of experience in the industry. She specializes in residential real estate, and has nearly two decades of knowledge and experience in Ridgewood and surrounding communities. Heather is committed to providing clients, whether buying or selling a home, with the highest levels of customer service. Prior to her real estate career, she worked in corporate finance. Heather is known for her strong attention to detail and organizational skills. She holds two certifications from the National Association of Realtors (NAR) – the Pricing Strategy Advisor (PSA) and the Seller Representative Specialist (*SRS) designations. She was recognized as a Top Producer in 2017 from her previous brokerage. With her experience and her affiliation with Special Properties, Heather is able to leverage the strength of Christie's and Special Properties' unparalleled corporate marketing resources and superior customer service to the benefit of her clients. In her spare time, Heather has volunteered as Treasurer of the Home and School Association, The Promise Foundation, Covenant House of New Jersey, among others. She enjoys paddle tennis, skiing, travelling, and watching her favorite sporting events. Heather holds a Bachelor of Commerce degree in finance. She is an 18-year resident of Ridgewood, where she currently resides with her husband and 2 children.